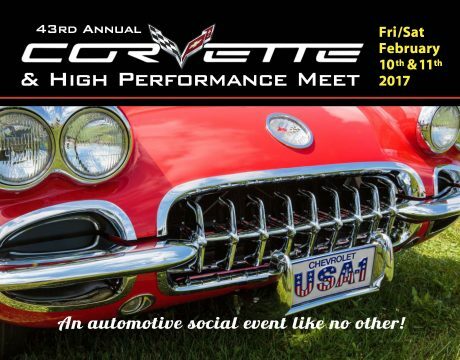 43rd Annual Corvette & High Performance Meet! Save the Dates! 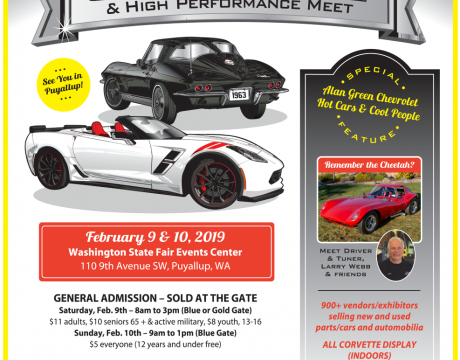 February 10 & 11, 2017 – Friday and Saturday Washington State Fair Events Center Puyallup, WA Friday: 2PM to 6PM, Early preview for buyers who can’t wait! $12 (everybody over the age of 12) NOTE: Not all vendors will be set up or necessarily open for business Friday evening! Saturday: 8AM to 4PM $11 (adults), $10 (seniors over 65 and active Military), $8 ( youths 13 thru 16) DOWNLOAD CHP Meet Flyer On-Site Registration Form Friday: 2:00PM – 6:00PM Saturday: 8:00AM – 4:00PM The 2017 event will be presented as a Friday/Saturday event only. Public will be admitted after 2:00PM Friday…. There were lots of new Racers this year – looking forward to more next year! 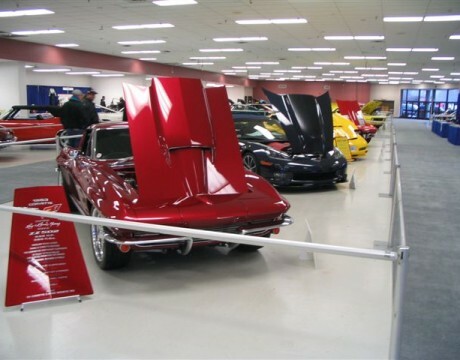 Let’s Go Valve Cover Racin’ at the Next Generation Show!